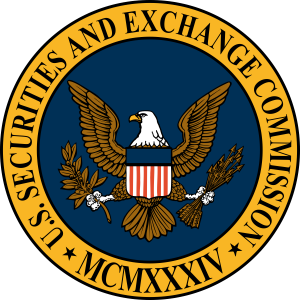 The SEC, or U.S. Securities and Exchange Commission, is an independent agency within the federal government with a mission to protect American investors, to facilitate information on capital, and to make sure that the securities markets are being maintained in an orderly and fair fashion. In the years following the October 1929 stock market crash, the public confidence in the U.S. markets was shattered. In order to shore up the economy, Congress passed the Securities Act of 1933, during the height of the Great Depression. Then in 1934 it passed the Securities Exchange Act, in the hope that this new regulatory agency, with its checks and balances, would restore the faith of the American people in the U.S. markets. The SEC was the first federal regulator of the American securities markets. It protects investors against any kind of manipulation or fraud in the market, monitors corporate takeovers of U.S. companies, and encourages full disclosure to the public in securities market matters. Any securities offered through the mail, through interstate commerce, or on the internet must be registered through the SEC first, before they can be offered to investors. Any financial services firms must register with the SEC as well, in order to conduct business. This includes any advisory firms, asset managers, broker-dealers, or the professional representatives of such entities. Investors can gain access to periodic financial reports, registration statements, and many other securities forms through the SEC’s comprehensive database. If a citizen has knowledge of any kind of unfair or fraudulent market activities going on, they can report such activities to the SEC, which will then undertake an investigation regarding the allegations. The SEC has many regulations and securities rules established, in order to maintain fair dealings within the securities markets and protect investors against fraud. By promoting the full disclosure of market-related information, the SEC hopes to curtail any potential fraud and help keep the investments of American citizens safe.